Proper software patch management helps reducing weaknesses on your systems. But even if you patched an outdated system, old processes and libraries can continue to run in memory. For example when a library is updated, an active program might still use the old version. To really finish the process of software patching, we have to do more. This includes preparation, performing the update and finally check if we need a restart of software components. In this post we have a look at several options, to properly execute this last part of the process. An introduction into the world of tools like checkrestart and needrestart. The first utility to help with the job of finding processes using old files, is checkrestart. It is part of the debian-goodies package and only available for Debian based systems. It uses LSOF (List Open Files) to determine open files and what processes using such resource. Running the checkrestart command will give an overview of what it discovered and what processes need a restart. It shows the processes using old files and determines what init scripts are related to these processes. Of course, those which it can find. 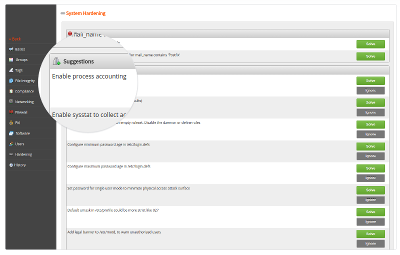 For the others it will display the related processes, so you can manually take action. From this output we can see what processes can be restarted, along the related init script. Additionally it shows what processes need also restarting, but lack the related script. The utility does what it should do. However, it is limited to Debian based systems and the code contains a lot of “to do” items. If you are evaluating software components in this article, you definitely want to read more about Needrestart. Another utility is needrestart. Like checkrestart it determins what processes need a restart, after running a software upgrade. It is part of the package with the same name and written in Perl. It seems to be well-maintained and supports newer technologies like containers (LXC, Docker). The tool hooks into the update process, so for example it can restart services after running a “dpkg upgrade”. It is also possible to run it manually, with specifically the mode to list processes only, provide the option to do restarting (interactively) per process, or do them all automatically. Needrestart restart uses features of the package manager to determine which related package, or daemon needs a restart. It does so by looking for the related startup script. In the case of systems using DPKG, it actually uses some intelligence from the previously mentioned checkrestart utility. For RPM it leverages the rpmquery utility, for pacman the pacman utility itself. For our Fedora system we used the following steps to get the tool working. Instead of using Git, you might use a custom package to simplify the handling of dependencies. As we simply use it for testing on our Fedora 21 test server, we install the dependencies and run it from the root home directory. By default, not much configuration is needed for this utility. It works great out of the box. When adjustments are needed for the behavior of the tool, this can be done via the configuration file /etc/needrestart/needrestart.conf. Some of options that are found in the configuration file, can also be adjusted via the command line (e.g. type of operation). So what is there to configure? The default restarting mode, what processes should be ignored etc. This way you can change the utility to do its job, while avoiding restarting unwanted parts of the system. Needrestart found several processes which needed a restart. The tool even checks if the latest installed kernel is running and discovered an outdated kernel being active. In this case a full system restart would even be better. After reviewing them both, go for the needrestart utility. It works on multiple Linux based systems, is well-maintained, has support for newer technologies and does it job very well. As always, we encourage testing first on non-production systems. Found even a better tool to handle this job? Let us know! Hi Micheal, have you run into an issue where after some processes are restarted ssh access hangs for a minute before logging you in? Hi Jim, that might be caused by (failing) DNS lookups. Ok thanks, I’ll look into it. Were you able to find the reason? Im sorry I forgot check back with you sooner. I ended up rebooting the server and the issue cleared up instantly. I’ve been using need restart since then I and haven’t noticed any issues when processes needed to be restarted. One thing I did learn was when I’m using screen for my Minecraft server as a different user (no root privileges) and there’s an update that needs to be restarted, I have to log into that user and type screen -r to cancel screen session and then screen back in. That clears up the restart notice from needrestart.